Rocky Point, Loch Fyne on the west coast . Two animals, the larger approx. 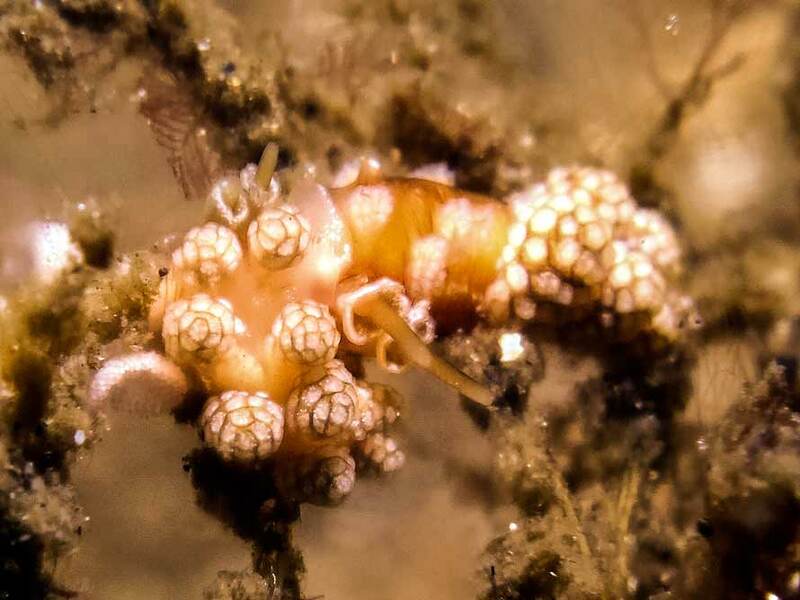 5 mm long, were found with spawn at 9m on a hydroid growing among the gravel/cobble substarte. Water temperature 11 ° C.
Fuji E900 in Ikelite housing, 2 x Inon CU lenses and Inon D-2000 flash.